Eugene provided the pubs clientele with a great nights entertainment aided by, amongst others, members of the Cathedral choir singing slightly different songs than they are used to! We will rebook early next year. We had a absolutely amazing evening with Eugene. It was brilliant from start to finish. Eugene made the evening and our customers thought he was great. Will definitely use him again and would highly recommend this man. Eugene Portman – What a fantastic pianist. We chose to have Eugene play at our wedding reception during dinner. Every single one of our guests commented on how beauifully the piano was played and how lovely it was to have it as background music. Eugene himself was personable and professional throughout the entire process and a joy to have at the wedding. We would highly recommend him! Thank you Eugene for making our day so special. Eugene played for our Golden Wedding Anniversary Celebration at Jeremy’s Restaurant, Borde Hill, Haywards Heath. The standard of playing was excellent and Eugene judged the audience, and what they would like to hear, beautifully. We were asked beforehand if there was anything special that we would like and I mentioned that we liked film music, especially the theme from Cinema Paradiso. Nothing was too much trouble and this theme was played superbly. If the weather had allowed Eugene would have been willing to set up an additional instrument outside in the garden. Although it wasn’t to be, due to the rain, that sort of commitment really impressed us both. We have received several cards and emails complimenting the venue and Eugene’s playing and we would not hesitate to recommend him to others. Eugene came and played at my mothers wake. He is a wonderful pianist, and played a lovely selection of my mothers favourite tunes. The day was very sad, but hearing favourite tunes helped ease the pain. I would certainly book him again. This guy was incredible. So, so glad he was there on our wedding. We had him play outside music for guest arrival with drinks etc and then later on throughout the wedding breakfast. Everyone commented on how nice it was to have the piano there. We asked if he’d be able to play a song that meant a lot to us. He’s never played this before ( and quite possibly never heard it before ) but he absolutely nailed it. I can not recommend this guy enough. A fantastic touch to our rememberable day! Thank you, you made such a a big difference to our wedding, we are so glad we found you. We booked Eugene to play at our wedding breakfast in a marquee at our home. He was fabulous and took our lively bunch of guests in his stride, including guests wishing to sing-a-long, unplanned speeches and a delayed start time resulting in Eugene having to play for longer than was booked. His set list was adapted as the evening developed (into a very lively one) and was professionally delivered with little input from us. The electronic baby grand piano was a lovely feature in our marquee set up. Thank you! In short, Eugene Portman was the icing on our cake. In more detail, he played during our wedding ceremony, reception and breakfast and was, quite simply, superb. 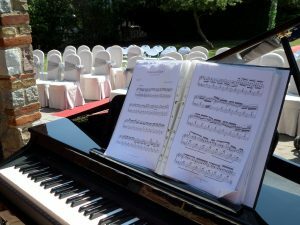 He brought his baby grand piano and looked the part; our wedding was outside, in beautiful gardens under belting sunshine. There was a wide range of ages on our guest list and so many people complimented him and us on his music. We are so glad to have booked Eugene and are trying to find an excuse for another party so we can do so again. Class. We just wanted to thank you enormously for your wonderful performance at our wedding on 16th July. You transformed the evening and played beautifully from start to finish. We had so many compliments from our guests and we really can’t thank you enough for making our day so memorable and special. Thank you so much for being the perfect accompaniment to our wedding. Calm and professional, you were great. The sound was amazing and you really helped make our special day so good. We would recommend Eugene to anyone considering having a solo pianist for any occasion. Thank you again. I would just like to say once again, thank you for such exquisite playing at our daughters wedding on Saturday. Having you play as she walked down the aisle was exceptional, and being at the venue while guests arrived and mingled during the photographs was a joy to hear. The piano playing in the background was truly magical, and that is testament to your skill and experience. It’s certainly something I would recommend for a wedding. I just wanted to thank you. What can I say ! You were amazing,we had a perfect day and having you play the piano was “the icing on the cake”.What a talented musician and perfect gentleman you are.From start to finish, you set the scene,created the perfect ambience with your carefully chosen pieces complimenting the wonderful venue and added a real sense of occasion to the day for both Jeremy,myself and our guests. Yes,I do hope that we will see you again, we just need an excuse to have another party! We booked Eugene for a St George’s celebration party and what a fantastic entertainer Eugene is. I highly recommend Eugene if you are looking for someone to book for a birthday, wedding or any kind of celebration and I guarantee you will not be disappointed. I have had the very good fortune to have Eugene play at our wedding 10 years ago and also at my recent birthday celebrations. It was great to meet up and hear Eugene’s splendid piano playing again. It really felt like meeting up with an old friend and Eugene created the perfect atmosphere for the event. My guests really enjoyed his playing too and, despite it being an intimate event, Eugene was discreet, but provided the perfect backdrop to an excellent evening. Many thanks, Eugene, let’s hope we can arrange another event! Big thank you to Eugene for a fantastic nights entertainment. Had the whole pub singing along. A great entertainer very professional and amicable. Already booked in for another night. Eugene played at a charity Christmas party in our local village hall in Sussex. The guests were absolutely wowed by his talent and he created a wonderful atmosphere which made the event really magical. Eugene is extremely talented, professional and personable and I would certainly hire him for future events with no hesitation. Thanks again Eugene for making the event come to life! Just wanted to say a huge thank you to Eugene for bringing something beautiful to what was a very sad day for us. I hadn’t ever expected that it could’ve been as wonderful as it was, you read the situation perfectly and the music was so special, my grandma would have adored it. I absolutely recommend and will be telling all friends and family too, I hope we will have the pleasure of hearing you play again. Thank you again so much. Thank you very much for what I can describe as a very enjoyable evening.Top class piano playing and all our guests enjoyed singing along to the Cockney tunes. We had an 80th birthday celebration for my father the weekend before Christmas and Eugene and Dave played and sang for us in the marquee. I could not recommend them more highly they created the perfect atmosphere for the occasion and hit just the right note with all their songs. It was a wonderful addition to a truly special day for my father and we were told how much everyone enjoyed their music by all our guests and family. We booked Eugene for my mother’s 80th Birthday to rekindle the old sing-a-long parties of yesteryear.With Eugene suitable attired and playing all the old favourites the evening went with an almighty swing. All generations joined in which turned out to be a wonderful night and I would like to thank Eugene for his efforts and accomodating attitude to any requests. Thanks and we will certainly be booking him again. Hello Eugene sorry for the delayed message, but thank you so much for playing at our wedding at the Barn Brasserie in September. We had so many comments asking where we found you and saying how amazing you were and you truly were. I hope the meal was OK for you and thanks again for making our day extra special. Just wanted to say thank you so much for playing at our wedding on the 5th September. You played beautifully, and it was so special to have our own song. Many thanks again for playing at our wedding back in June. Your playing was lovely and thank you for taking the time to arrange Lean On Me in advance. We thought that you might enjoy some photos from the event – feel free to use these on your website if you’d like. Just a quick note to thank you so much for your playing on Friday. It really added a great atmosphere to the party. Everyone said how much they enjoyed listening to you. Hope you had a good journey home last night and a good wedding tonight! What a fab night – one we’re all still talking about! Thanks Eugene for coming to our little Yarwell pub to help celebrate my Dad’s 70th with a Cockney Sing-along. What an amazingly talented pianist – you created a wonderful atmosphere – helped of course by our very willing regulars that are always keen to get behind a mic! Great night – highly recommended – would not hesite in replicating when the next opportunity to do so arises. Thank you for making it a memorable evening. Eugene played for us during our wedding breakfast at The Welcombe Hotel on 11/7/15. He was polite, professional and an excellent pianist. He played the music that we had requested. Eugene was organised and did not encroach by playing too loudly. He was exactly what we had wanted and I would not hesitate to recommend his services. Thank you Eugene, for helping to make our day perfect. Eugene is without doubt a superb pianist. He provided a full evening of fantastic entertainment for our first Cockney night. He provided song sheets to assist those who stepped up to the mic. Think of it as a 1940’karaoke, but with a real life musician. I can’t recommend him highly enough. Eugene is an incredible player. His musical performance at our Badminton Corporate lunch 2015 was a wonderful addition to the afternoon and complimented the event so well. We will be booking his talents for future Sense hospitality events. Just back from honeymoon and I wanted to thank you for playing piano for us at our wedding. We have had so many comments about how the beautiful music added to the atmosphere and made for a wonderful day. A BIG thank you to Eugene Portman for entertaining us so superbly at our annual corporate Garden Party and Barbecue. A perfect accompaniment to a glorious Summer evening. It’s our third year of using Eugene and it is always a pleasure. Thank you SO, SO much for an absolutely amazing performance at our wedding on Friday. It was a fantastic day which was made possible by your outstanding contribution. I cannot thank you enough. I had so many comments during the day regarding your music, talent, & professionalism. You really did make our Wedding so special. The video clips I have seen all have the sound of you playing the piano in the background – Lovely! You managed to create a wonderful atmosphere which I will treasure forever. Thank you so much. Hope you enjoyed it as much as we did. I would like to say a big thank you for playing at my party last Sunday. It was just what I wanted, and helped to make it a happy day. I do hope my nephew ( a music teacher ) and his Mother, ( a very talented musician in her day ) didn’t bother you too much !! Thank you very much for your wonderful entertainment yesterday. Sorry not to have said goodbye but the way you slipped out quietly was indicative of how you handled everything so well yesterday. We already had very complimentary feedback from the guests about the music. I just wanted to say how fantastic it was to have you play for us yesterday. You were absolutely brilliant and added the perfect final touch to the day. Just to say a big thank you for playing at my Daughters wedding last Saturday. A brilliant day all round and your contribution was greatly appreciated. I need to say a huge thankyou for playing so well at Clare and Andrew’s wedding at Hengrave yesterday. We very much appreciated that you played our odd requests!! It was great to be outside for the drinks reception and I think you had to play quite loudly during the meal!!! Things got even louder later on!! We had a really fantastic evening. Eugene played all night at my birthday party. He is a really talented pianist as well as being a great person. A brilliant evening. I’d definitely book him again. Eugene played for us at my sons christening at home and he was fantastic. It really made the atmosphere in the house and everyone really enjoyed the variety of music he played and his amazing repertoire. He also played for us a couple of request songs that were very special to our family which was beautiful. Thank you Eugene for being part of our sons special day and playing so beautifully. Thank you Eugene for playing so beautifully at our wedding ceremony and drinks reception. Your music selection suited the occasion perfectly and you were a true professional from start to finish. Brilliant! Eugene dropped everything and hurtled down to the West Country for a last minute booking. He arrived at the hotel in time and played beautifully, the music floating past the guests who were enjoying a 70th birthday party in a private dining room. He even managed to play some theme tunes and other songs for an impromptu music quiz! Highly recommended. Thank you. Phil and I would like to express our gratitude for your talents and excellent taste in music which helped our special day extra special. Eugene played some wonderful music at our Christmas Party on Friday, 19th December. His reception music suited the festive mood and continued on over dinner. Well done Eugene and again “thank you”. Eugene agreed to play for us at very short notice as background/atmospheric music for a drinks event in the Leeds City Museum. He brought a digital piano with him at no extra cost. He was extremely reliable, turning up early to ensure everything went smoothly. As a musician myself, I was very impressed with the quality of his playing. It suited the event perfectly. We would certainly recommend him. Eugene recently played for us at my parents Golden wedding anniversary. He played an excellent array of tunes and then played the good old oldies for the guests to sing along to with song sheets and microphones. Eugene also dressed in the cockney style which really was a great finishing touch. Eugene was excellent value for money and his skills as a pianist are exemplary. The event was greatly enjoyed by all. When our daughter and son-in-law set the date for their wedding, we wanted to give them the magical time they deserved. We decided to book a pianist to make things perfect and we were lucky enough to find Eugene. His music for the service and during the meal was just what they wanted. We had many nice compliments from our guests. If you want to add something special to any occasion we would recommend Eugene. Recently had Eugene play at our Wedding… His music is not only amazing but he’s such a genuinely lovely guy who caters to all your requirements. We had some great feedback from a lot of guests after saying how much they enjoyed his music and what a nice touch it was to the wedding. We will definitely be asking Eugene to play at any future events. Highly recommended! Thank you so much for making our day even more special! Abigail & Justin. Wow where do we start, from the moment I walked into that ceremony room it was filled with your beautiful piano. Thank you so much. You made our day by playing beautiful songs and played perfectly. We have recommended you to everyone so hopefully you might get some bookings. It was the best decision to book you for our wedding, you was amazing and so professional. So thank you so much. Thank you for contributing to a hugely successful East End ‘knees-up’ to celebrate our Anniversary. The sing-a-long worked brilliantly and together with our guests we had fantastic fun. Thank you so much for your fabulous piano playing last Saturday night at our wedding. You came to the rescue with your PA system, which meant our grandson could sing during the ceremony, with you accompanying him. A number of people commented on the lovely tune played as my father and I walked down the aisle, and it was fun skipping back up again too. If ever anyone wants a recommendation, please don’t hesitate to pass our details over. We would be more than happy to give our recommendations. I would just like to say from both Hannah and myself a massive thank you for playing at our wedding last weekend! All the guests had a fantastic day and there were plenty of comments flying around about the ‘amazing band’! And from our side we thought that the style of music was perfect for the setting and tone of the day, you all sounded brilliant and we will definitely be recommending you to family and friends for the future! You were so accommodating throughout, helping to set up additional equipment when required so that the two of us and our guests could enjoy the day! So again a massive thank you, and please pass on our gratitude to the other members of the band! Eugene played the piano at our wedding, and was excellent. We wanted a pianist for 8 hours, far longer than most people would. We emailed several pianists, most of whom wrote back saying they wouldn’t play for that long and asking for ridiculous amounts of money to do some fraction of it. Eugene wrote back saying it would be no problem, that he’d take breaks occasionally, and quoted a really good price. We didn’t mind too much which music was played, so Eugene selected his own music for the occasion, a mixture of classical and popular songs, and a few Disney tunes I think. Basically Eugene made our lives very easy, and we got lots of compliments from our guests. Recommended! I would just like to thank you for attending on Saturday and gracing us with some wonderful music. I have no idea how you can play so beautifully for such a long period of time – my upmost respect goes out to you! I shall definitely add you to my key contacts for future events. I just wanted to say a big thank you for coming on Saturday. I know that it was actually quite busy and maybe a bit too noisy :). I was quite overwhelmed myself and didn’t get a chance to fully appreciate as I was busy hosting. However I wanted to say that we received many lovely comments from our friends and thought you played extremely well. I will definitely recommend you for any parties or events:). Thanks so much for coming and being our pianist at our wedding last Friday at Halswell House. We really liked your choice of music for the ceremony, champagne reception and breakfast. 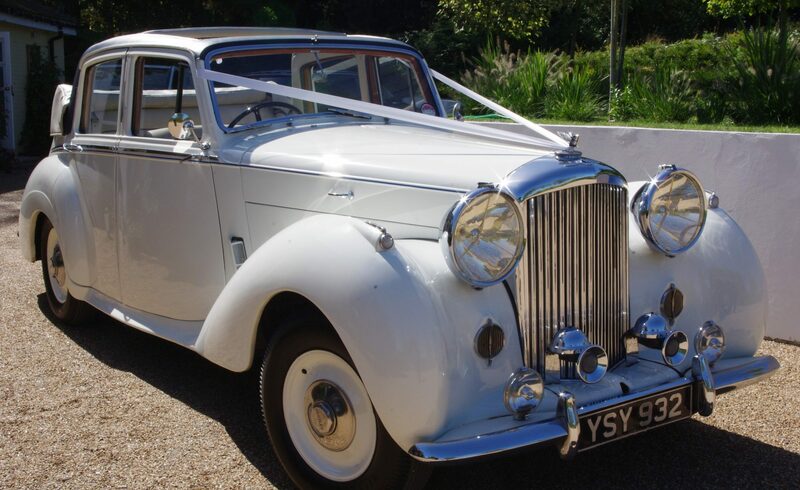 Punctual, polite, professional and perfect for our day! I have tried to phone you a couple of times, to thank you again! left you a voicemail. We were very greatful for all your effort and the Bond themes sounded great! Thank you also for the beautiful pictures! That is great to have as a reminder! Hope we will meet again! The above was sent to Eugene after he had played at a cocktail party for the sponsors of the 2008 James Bond Film “Quantum Of Solace” just prior to the premiere.